Phenix Research Products offers a complete line of acrylics and radiation safety products for your lab and benchtop workspace. Whether you're looking for protection in the form of beta boxes and safety shields or lab consumable storage and pipette stands, we have a product that will meet your needs at some of the lowest advertised prices in the industry. 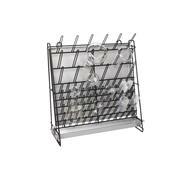 Holds just about everything a lab needs Organize your most commonly used laboratory disposables in one central location. 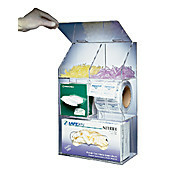 Acrylic unit has room to store gloves, Kimwipes®, and Parafilm®. Use bins to store tubes, tips, etc. Place on a counter. 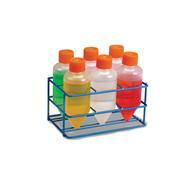 Measures 265 x 137 x 440 mm.